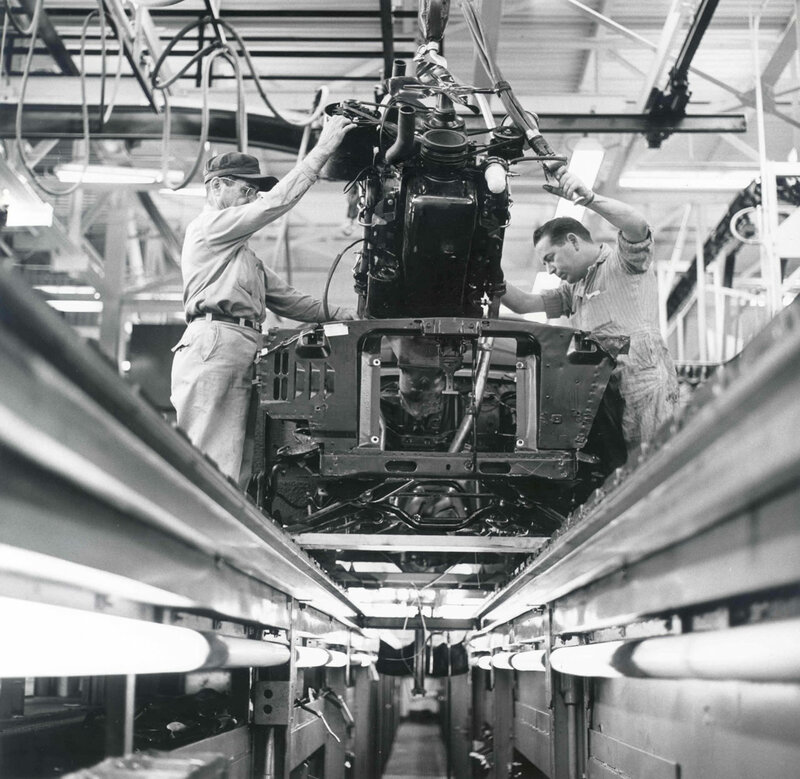 The Ford Motor Company never forgets its heritage and is constantly showing us exactly how proud a company they are. 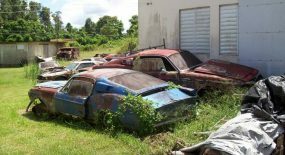 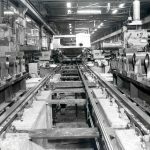 That’s why last year you may remember they launched Fordimages.com, a site with archival photos of all FORD images that were previously locked away but now available for purchase. 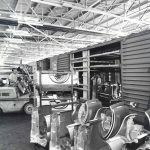 Now recently released images of Ford Motor Company’s San Jose plant show us just what Mustang production looked like in 1964 in Milpitas, California. 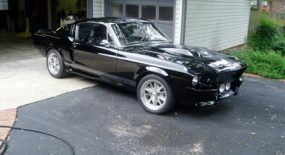 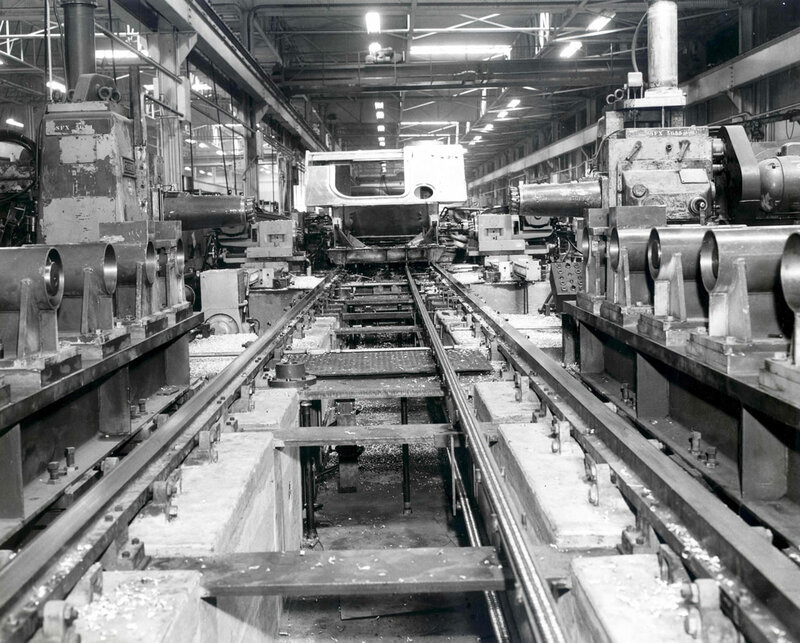 The first Mustang rolled off the line at the San Jose plant early Friday morning on July 10, 1964. 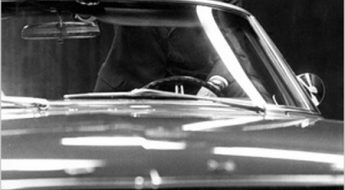 Check out the high-resolution images below along with the captions explaining the photos. 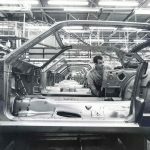 “On the padded fingers of an assembly line hoist at Ford Motor Company’s San Jose plant at Milpitas, Calif., a Mustang convertible body swoops in to meet its rear axle. 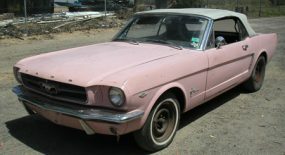 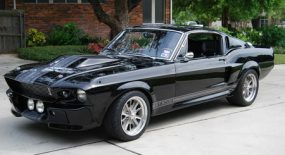 The plant’s passenger car production switched July 10, 1964, exclusively to Mustangs to meet a growing backlog of orders with an added 420 cars per day.” Western Public Relations Office, Ford Motor Company, San Francisco. 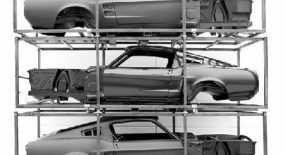 “Mustang bodies move along the line prior to receiving corrosion-protective coating as the San Jose assembly plant of Ford Motor Company at Milpitas, Calif. 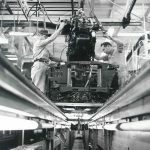 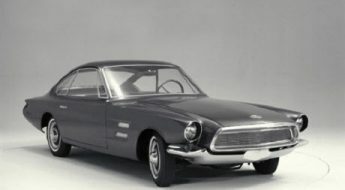 The plant rolled its first Western-built car in the sporty new make off the line July 10, 1964.” Western Public Relations Office, Ford Motor Company, San Francisco. 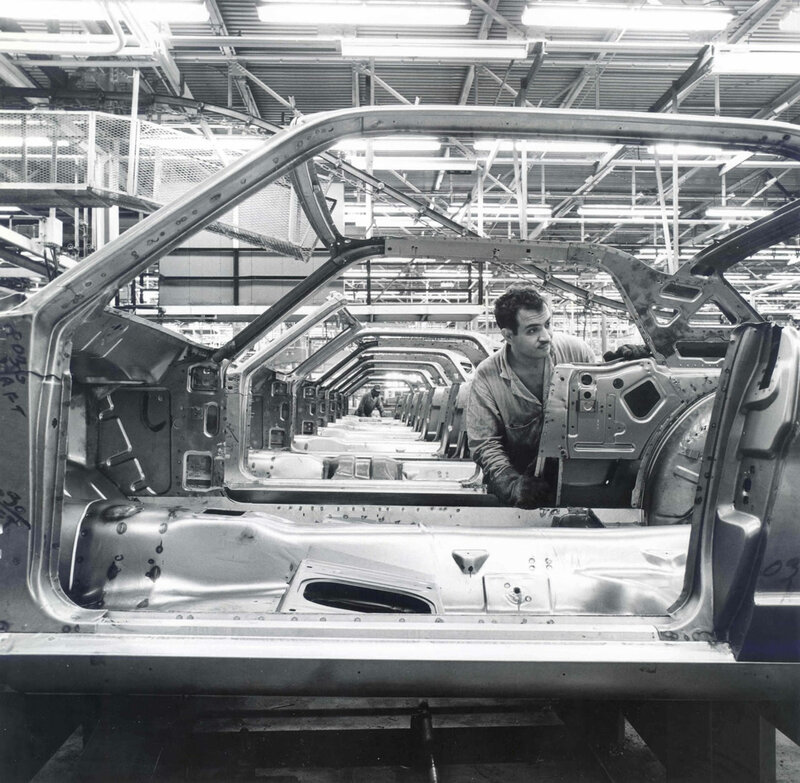 “Fenders for the new Mustangs are unloaded at the San Jose assembly plant of the Ford Motor Company at Milpitas, Calif., in preparation for production of the first Western-built model July 10, 1964. 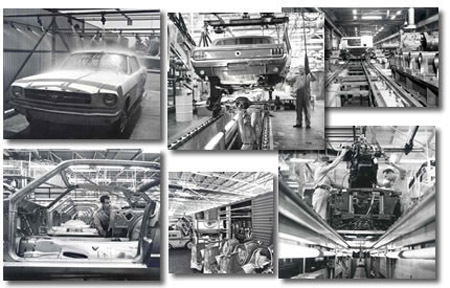 Mustang parts, originating in all parts of the U. S., arrive by rail and leave by rail and truck as shiny new hardtops and convertibles.” Western Public Relations Office, Ford Motor Company, San Francisco. 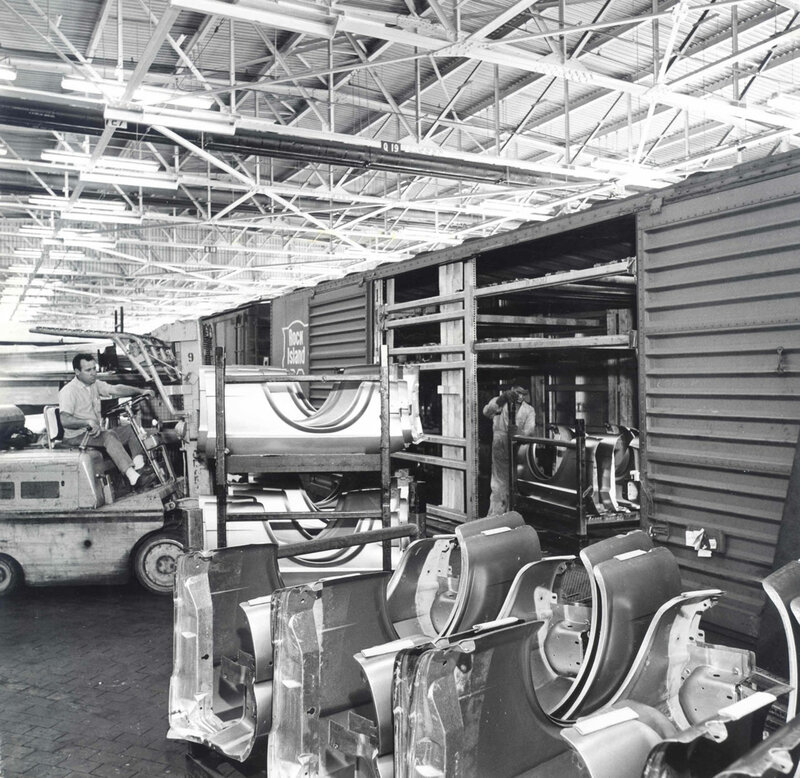 “Decking the engine. 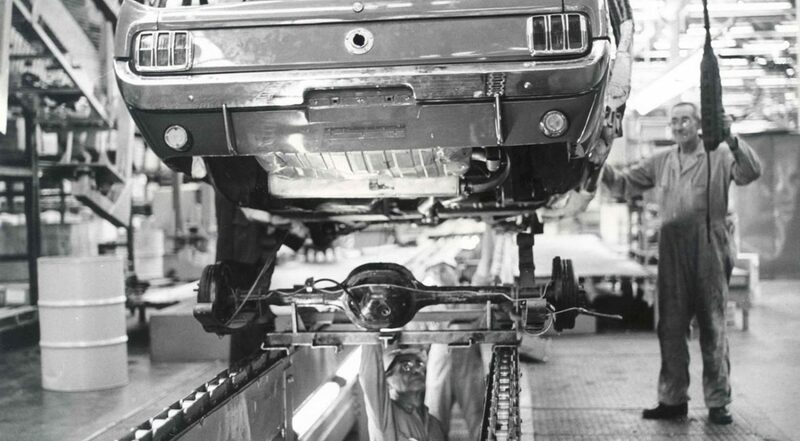 The unfinished nose of a Ford Mustang receives its 289-cubic-inch V-8 engine on the final line at the Ford Motor Company’s San Jose assembly plant at Milpitas, Calif. 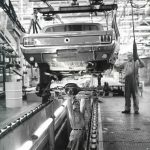 The passenger car line was converted totally to Mustang production, with the first car off the line early Friday, July 10, 1964.” Western Public Relations Office, Ford Motor Company, San Francisco. 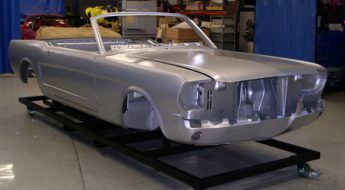 “Man made rain from above, below and from the sides subjects a Mustang to the test which assures buyers of a water-tight vehicle. 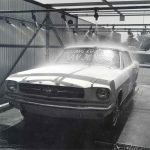 An invisible dye in the water, when exposed after a three-minute storm to black light, detects by a magic glow the slightest trace of water. 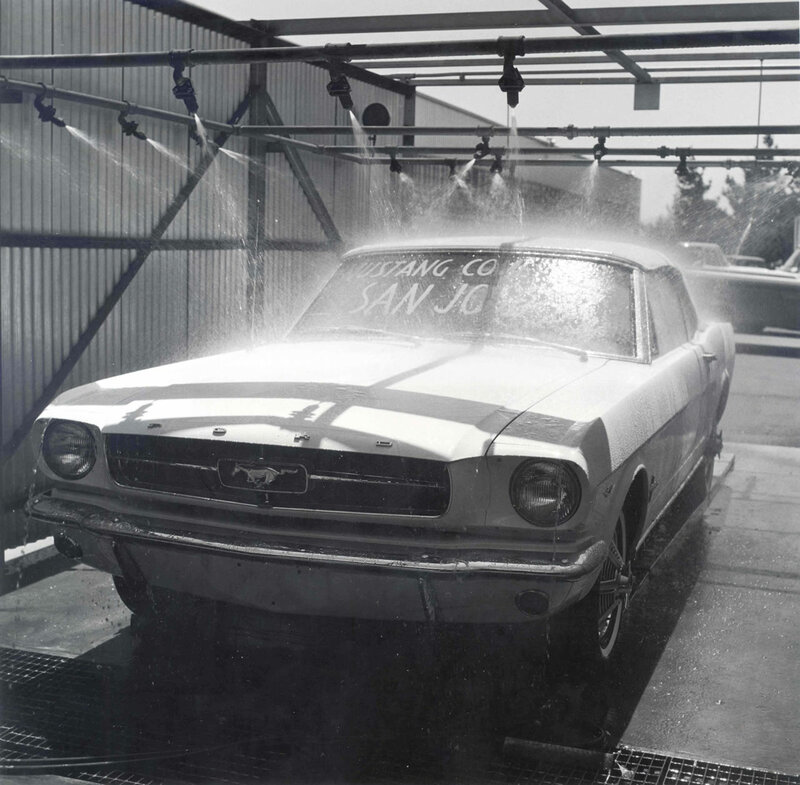 The test is one of hundreds which pin the top quality label on Mustangs now produced at Ford Motor Company’s San Jose assembly plant at Milpitas, Calif., where the first Western-built Mustang rolled off the final line July 10, 1964.” Western Public Relations Office, Ford Motor Company, San Francisco.